From the comfort of your couch you could be forgiven for thinking Guatemala is a country that is too dangerous to travel. And like anywhere in Central America, there are dangerous parts. However luckily for us, there is a whole lot more to Guatemala than the dangerous streets of the capital city. 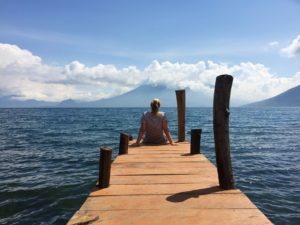 From swimming in hot waterfalls to climbing active volcanoes and the glorious Lake Atitlan here’s my take on all the things to do in Guatemala, wrapped up in a handy three week itinerary. Located close to the boarder of Belize, this quaint little town feels very European. Connected to the mainland by one bridge Flores offers multiple delicious lakeside restaurants, boat tours and a cute little night market with the most decadent cakes. Flores’ main drawcard however, is it’s proximity to Tikal, which is an absolute must-do. 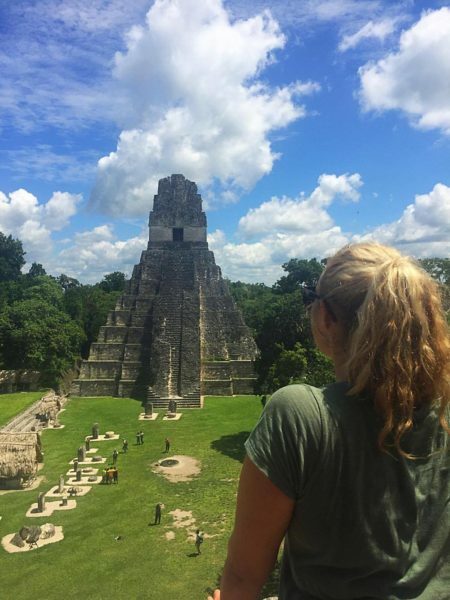 Tucked away in the middle of the jungle the magnificent ruins of Tikal should have garnered ‘Wonder of the World’ status well before Mexico’s Chichen Itza. However, thankfully due to the fact that it’s totally underrated, you’re not going to be fighting off tourists to see the ruins. My advice, get to the park early and pay for an hour long guided tour. It’s worth it. You literally feel like you’ve stepped onto a set of an Indiana Jones movie crawling around the ruins and exploring the jungle. This cute little village surrounded by water translates directly to ‘sweet water’. And sweet it is. 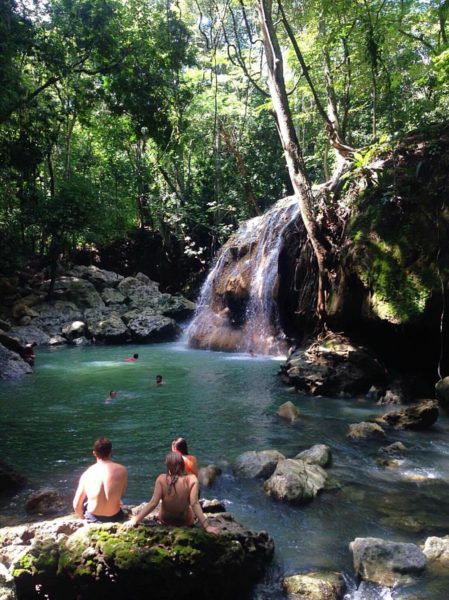 Activities here include kayaking in search of howler monkeys, taking a day trip to nearby beach Livingston and best of all swimming in a hot waterfall! Yep you heard right. A quick 15 minute drive from town is one of the most incredible natural attractions I’ve ever witnessed. Due to volcanic activity deliciously hot water runs from the top of the waterfall into an ice-cold river. It’s like your own personal day-spa. And if you climb (carefully) to the top of the waterfall you’ll even be able to give yourself a full body mud mask that is meant to have healing properties. One thing to note – the only way down is to jump from the top, so it’s not for the faint of heart. 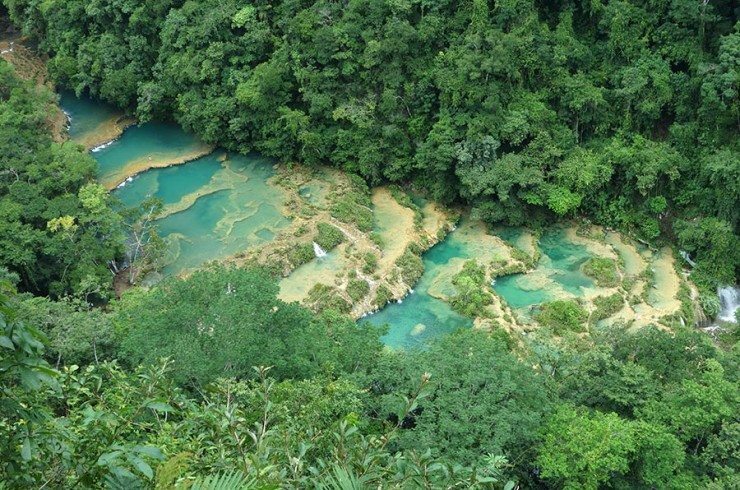 No list of things to do in Guatemala is complete without a visit to Semuc Champey. While the view from above is absolutely stunning the real fun/danger begins with tubing down the river and canyoning to explore the caves by candlelight. 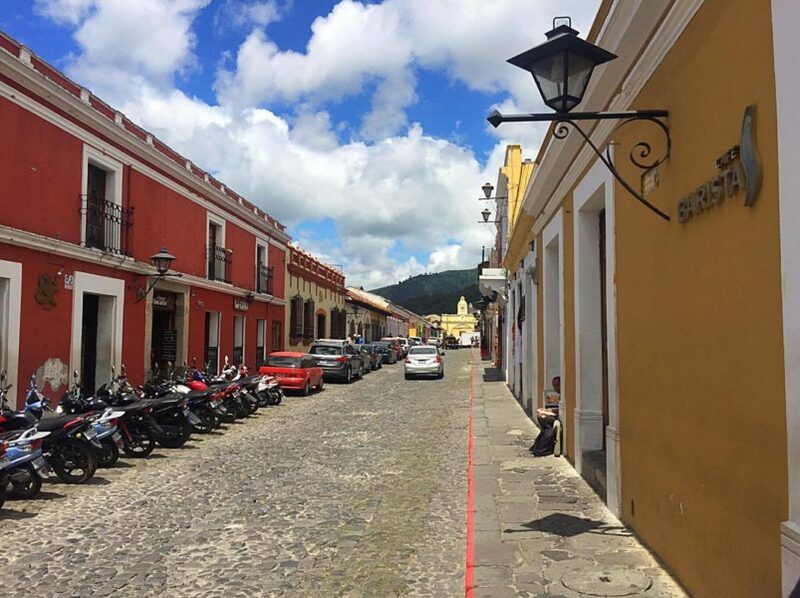 I ended up staying in Antigua for a month learning Spanish and exploring the town. And I have to say it’s one of my favourite cities in Latin America. The quaint colonial streets and amazing coffee are one thing, but the fact it’s surrounded by volcanoes at every turn takes it to the next level. 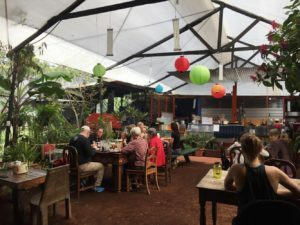 While you’re here check out Antigua’s amazing cafes, hike Volcano Acatenango or roast marshmallows on active Volcano Pacaya. And if you’re a Lord Of The Rings fan take a day trip to nearby Hobbitenango, where hobbit houses are carved into the mountains. Up for a break from being cultured and ‘all that’? Well, a party weekend on the black sand beaches of El Paredon will sort you right out. Driftwood Surfer Hostel is the perfect place for two days of sun, surf and debauchery. And definitely needs to feature on your list of things to do in Guatemala. Two hours from Antigua, the easiest way to visit is to get a group together and hire a driver to take you there and back. And bring some Hydralyte to soothe that hangover. At the start of my trip I’d probably been on two hikes relatively long walks in my life. I definitely would never have called myself a hiker. So in the lead up to the three day trek from Xela (short for Quetzaltenango) to Lake Atitlan I was feeling pretty nervous. Luckily this was all in vein as the team from Quetzal Trekkers were absolutely fantastic. And this hike has been one of my favourites on the trip so far. Three days long, through the Guatemalan jungle with some spectacular views and epic sunsets over Lake Atitlan this is one of the things to do in Guatemala I implore you not-to-miss. And better yet 100% of the tour cost goes to support children in need. Lake Atitlan is a very interesting place. In its own right it’s a stunning lake. But the scale of difference between the towns that surround it is where the fun really begins. My advice would be to set aside a few days and explore them yourself. We checked out San Juan for a truely authentic experience – a home stay with a local family. Then boated over to Gringo-filled San Pedro La Laguna for a night on the town. Followed by a relaxing afternoon poolside in Jaibalito. And finally finished up getting our zen on in hippie town San Marcos La Laguna. 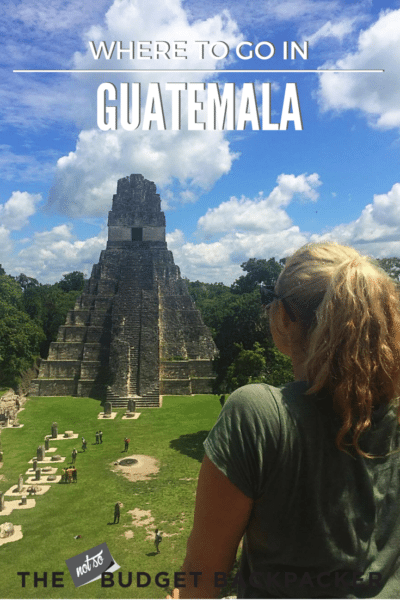 all over the things to do in guatemala? check these out! Awesome post! We were hoping to be in Guatemala by now but after a lot of research we decided it would be hard to keep up our online teaching jobs there, so we stuck around in Puerto Vallarta to work and save money. I’m definitely bookmarking this one for when we do finally make it there. 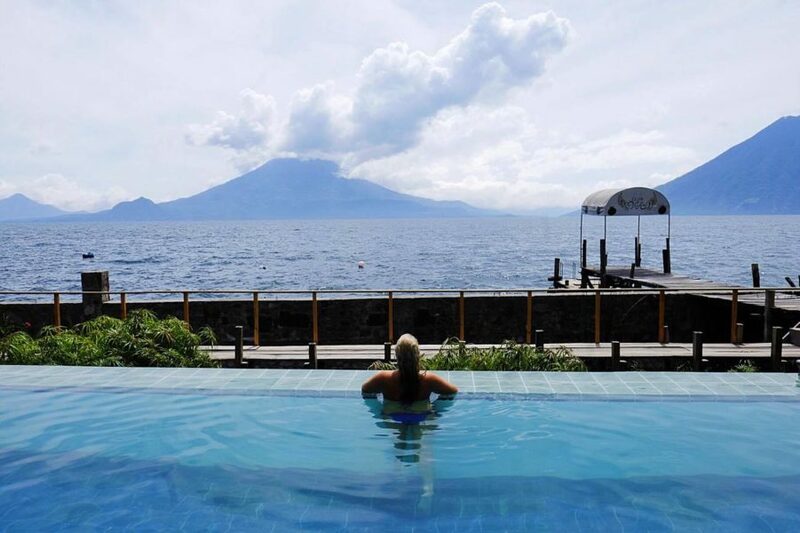 I really wanted to stay in Lake Atitlan for a month or two but everything I’ve read leads me to believe the internet is not stable enough anywhere there for us to keep our jobs going… Looks like you had an awesome time there! So glad you like the post. Yea the internet in Guatemala in total is not fantastic. I do remember having ok internet in my hostel in San Marcos. But I think it’s hit or miss. The internet in Antigua is usually pretty reliable and I absolutely loved it there. You can also get some Spanish lessons in while you’re there. So if you’re not opposed to living in a beautiful colonial city surrounded by volcanos you could try that. And then the lake is only a couple of hours drive away. 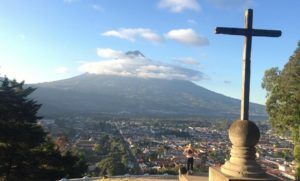 If you’re interested this is my post on learning Spanish in Antigua – https://scrimpsplurgetravel.com/learn-spanish-in-guatemala/ The food there is also delish!